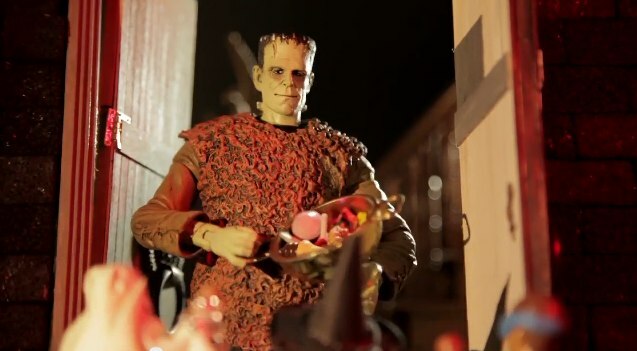 Diamond Select Toys just unleashed a sweet treat for your Halloween bag in the form of an animated video featuring their line of Universal Monsters figures. 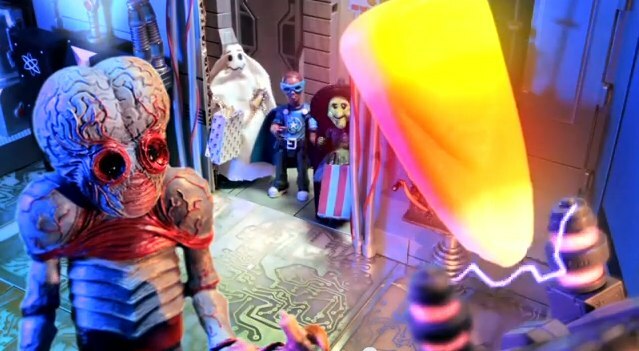 Created by Alex Kropinak, the man behind the madness of the Marvel “What The …..?” series, the short follows a trio of Halloween candy hunters to some surprising doorways. In just over a minute we get a slew of cute vignettes of which I especially love the Metaluna Mutant conjuring up a giant candy corn on the old interocitor. Scripted by Kropinak and DST Marketing Supervisor Zach Oat, the film nicely displays the expanded articulation of DST’s newest additions to the line, Son of Frankenstein and a beautifully revamped Creature from the Black Lagoon. It also affords a cameo appearance to their first original concept Van Helsing character. Thanks to the Diamond Select gang for this excellent surprise. Having spent a healthy chunk of my early teen years creating backyard “jungle” adventures using a collection of 12 inch G.I. Joes, I’m always appreciative of a nice piece of stop motion animation like this one. The miniature sets are an inspiration for us toy photographers and Kropinak utilizes a touch of CGI for the atmospheric effects. This truly makes me pine for a proper animated version of Ray Bradbury’s The Halloween Tree. Word is Diamond Select will continue it’s Universal Monster line next year. A super articulated Wolfman would be awesome, but I’d be just as happy to see them do something left-of-center like a Henry Hull Werewolf of London. I’m also really curious to see what their next original creation will be. DST will launch it’s “Nightmare Before Christmas” Mini-Mate Series with Jack Skellington. 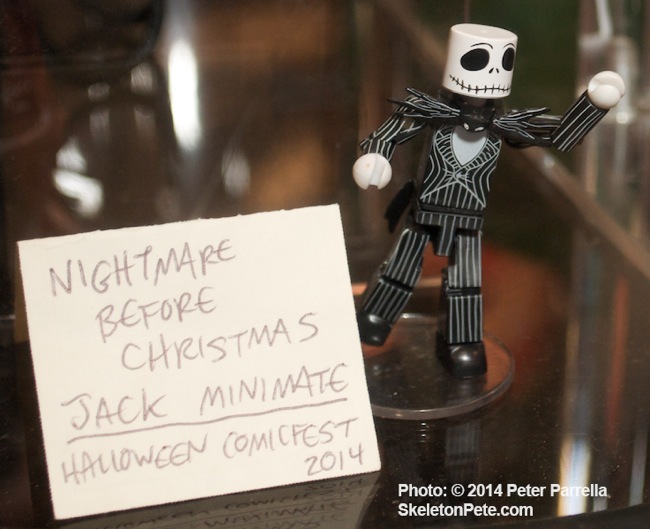 Additionally Diamond Select will kick off their The Nightmare Before Christmas Mini-Mates series via shops participating in Halloween ComicFest, with a great Jack Skellington figure that was on display at New York Comic Con a week ago.